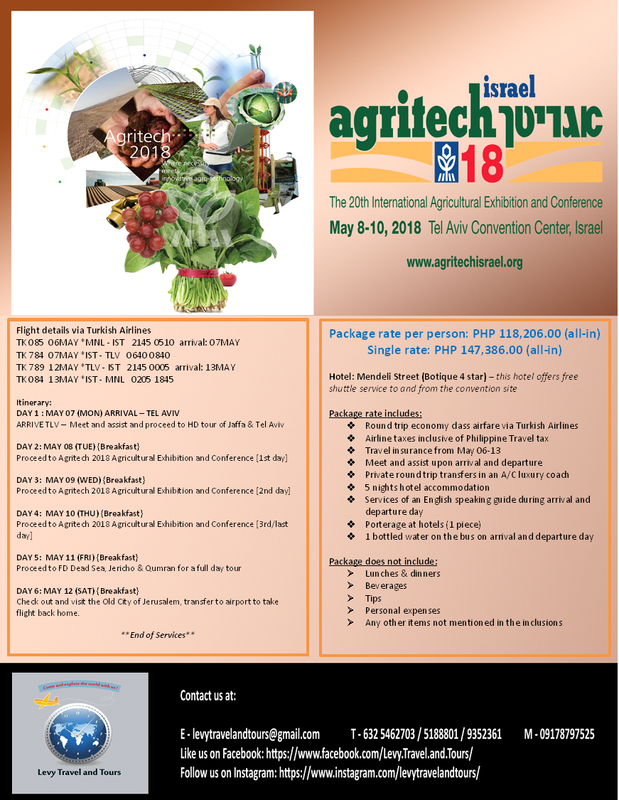 Celebrating its 20th successful conference and exhibition on agricultural technologies and innovations, Agritech Israel 2018 will be held on May 8 to 10, 2018 in Tel Aviv. 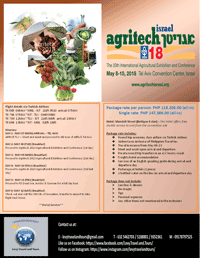 Agritech Israel is one of the world’s most important exhibitions in the field of agricultural technologies. 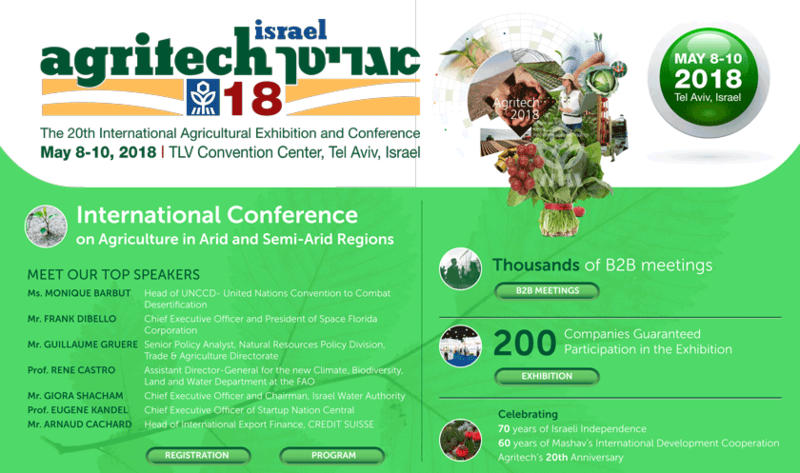 Agritech Israel 2015 attracted 253 exhibitors from 58 countries, 250 exhibitors, 8,100 foreign visitors and 27,000 Israeli visitors. 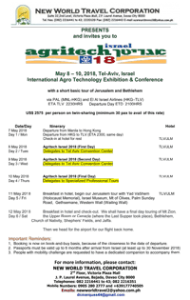 Agritech 2018 will focus on global warming, climate change, extreme weather phenomena, water deficiency and desertification, which present new challenges that require extensive and profound approaches and durable solutions for efficient farming on the edge of the desert. For interested participants who wish to avail the METEOR travel package, please contact your respective travel agents. 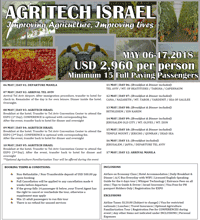 For questions, you may reach [email protected] or call 6871743; 661-4410/ 6874596.